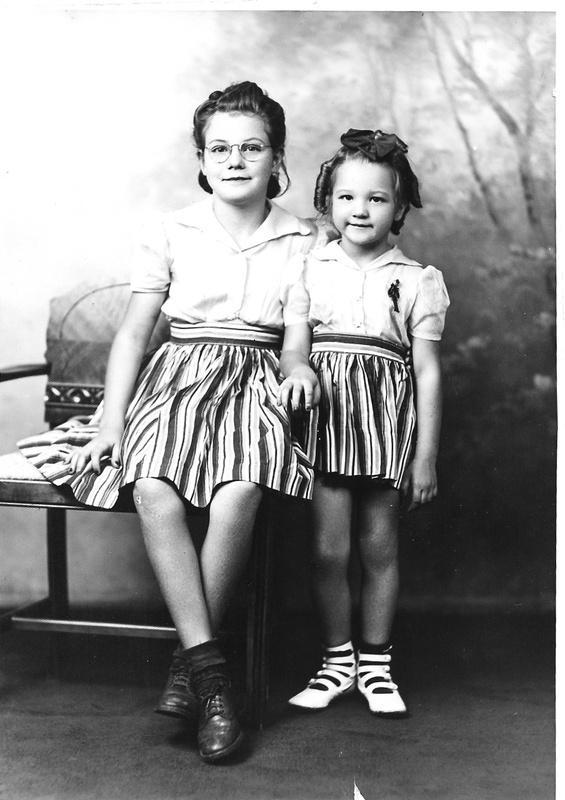 This is one of my favorite photos of my mother, standing next to my sister Mary. That smiling mouth agape, as if to say, Can you believe what I get to do now! I am writing on Monday, in the few minutes before I head over to the Pato Loco for the memorial service, to be followed later by a funeral in Utah. Not sure about my publication schedule for the next few weeks, and taking personal privilege with the topic. It's your blog, my doc once said. So it is. Mama was a survivor, in the real world, not reality TV world sense of the word. She was also a public person, and I learned from her how to set a public face, mostly a competent face. Privately it was more often harried, the face I see in the mirror, more every day. The thing therapists think you are supposed to say to survivors is Wow! You are so strong! Me, I don't care for that line. Yes, evidently I can bench press 300 pounds, because it has indeed been piled upon me, and so far I am indeed still here. But. In the first place, weight lifters get to put it down. And. In the second place, that extra feather somebody added to the load four years ago was finally one feather too many. Strong, but not that strong. But Mama would have liked that line, not that she ever would have gone to therapy. She was proud of her strength and taught her children to be strong. I have a fever, too, and I am going to work. So you are going to school. She was a radio broadcaster and among her high moments, interviewed Rosa Parks on talk radio. She later owned a station in Tooele, Utah, and used it to do community organizing. If the hospital closes, there will never be another job that comes to Tooele... She built schools. She got Democrats elected to public office in the state of Utah. She was a force to be reckoned with, and utterly charming to boot. Her final vocation was to feed the world. At age 72 or so she came out of her second retirement to buy a hotel and restaurant in Costa Rica, the Pato Loco. Christ has no hands on earth but mine. The mis-quote tells a lot about who she was and how she would do it. Ceaselessly. And graciously. And ceaselessly. The early years were hard. As I said, she was a survivor. The later years she found love, success, fulfillment, and then adventure. She traveled to Italy, Ireland, Poland, Croatia. She introduced her granddaughters to this wider world. She went to cooking schools, met and visited her hero Paul Prudhomme. 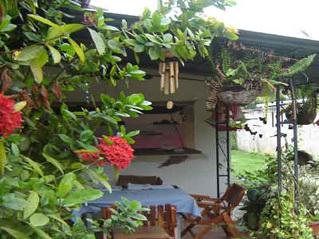 She moved to Costa Rica. The last years took a turn again, toward loss, disability, pain. Even in pain she set her public face to attend Happy Hour twice a week, so she could welcome her guests. She was ready, way past ready to go. The end was not unexpected. But it was sudden, nonetheless. My phone rang just as I put my bag into the overhead bin. Costa Rican officials sped my sister Karla through immigration and customs, My mama just had last rites this morning, I have to get out of here... But once outside, Karla heard the news as her friends met her with the taxi. Now we will gather, not just three sisters (a fraction of the blood family), but also a standing room only crowd of the new family she created with sacraments of hospitality and food, people who came to the Pato Loco because they heard it was a good place for breakfast, and never left. They just up and moved here. A nationally known flamenco guitarist will play. An African-American business woman will sing Gospel music. A Nicaraguan housekeeper will speak from her heart. 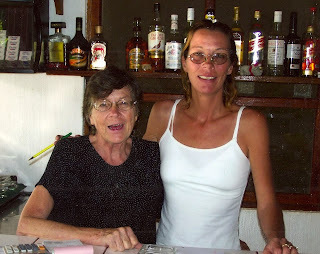 Mary Kirigin, Mama Mary, as she was known in Costa Rica, Grandma, your mother was so much more than I knew. Mine is a fragmentary account, one facet. But I will add one last story. She had a Bible, with a quilted cover, zipper, handles, the kind of Bible old ladies own, who read it a lot and stuff it with bookmarks, photos, mementos. The zipper holds the whole thing together. Our sister Mary handed it to me, and asked me to interpret what was clearly a message. There were things that Mama left undone. The dying have different priorities than their survivors. This is always so. But one thing she did do. The souvenirs and old parish budgets were removed, stuck in the inside cover. Three bookmarks remained. The verses were not marked, just the pages. No notes left. But the tea leaves were there to be read. Isaiah 25, Romans 12, John 14. There is a funeral mass to be said state-side next week. She marked the three readings, Old Testament, New Testament, Gospel. I know her favorite. She talked about it for years, ever since the funeral of the love of her life. So in the home she found for herself and she made for others, in the dining room at the Pato Loco, a place made sacred by other worship services but mostly by meals, by hospitality and welcome, these words will be read as the blessing at the end of the memorial service. Lo, this is our God, we have waited for him, so that he might save us. And then the feasting will begin. Please accept my sincerest condolences on your loss. I lost my mother half a world away just before Christmas and am only just trying to come to terms with the ramifications of that. Your blog has been a source of inspration for me, hopefully the support of your readers can a source of support for you. I came across this blog in a search for my old Army Battle Buddy from 1988 Mary Prozac. We called her P-Word for short. My name is Julie McClain and my number is 1-727-643-0688. Please text me if this is her family I'm trying to contact her.